Before you start taking perfect photos and crisp videos with your new Nikon D3200 DSLR, you should familiarize with your new gadget. Below, we frame out a quick guide of few things that you should know as the new owner of a Nikon D3200, which has received positive reviews on Consumer Reports. As with most DSLR cameras, a SD Card, which is a small memory card that allows you to store all your video and photos, is not included in your Nikon D3200 package, so you will need to purchase one. If you plan to shoot a lot of video with your new camera, you will need purchase an SD card that features at least 8GB. There are a variety of brands on the market and each will do the job. Prices range from $5.99 to $10.59 depending on the brand you opt to buy. Of course, the first thing you want to do when you pull your Nikon D3200 DSLR out of the box is start shooting video and snapping photos, but you will need to be patient. To fully optimize the camera’s rechargeable Li-ion battery, you will need to charge it for about an hour and 30 minutes. To charge the battery, remove it from the packaging and insert it into the battery charger and plug it in to an outlet. Once it is fully charged, the light on the charger will stop blinking. You can then put the battery into the camera, but be sure that your camera is off when you install the battery. 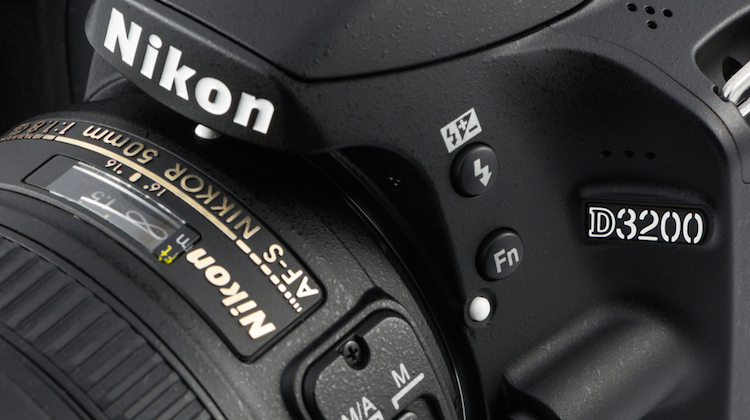 As the wait for your battery to charge, it is a good idea to familiarize yourself with all the settings on your new Nikon D3200 before you start turning dials and clicking buttons. Start by both reading the user manual and then take a good look at the top of the camera where there is a dial with several settings. Auto mode: Great for all around shooting. Flash-off mode: Use when a flash is not allowed, like at a concert. Portrait mode: Use when taking a photo of a single subject and the camera will creates color balance for you. Landscape mode: Use when shooting out through car window. A child/baby mode: Switch to this mode when taking photos of kids being kids, moving quickly all around. Sports/Action mode: This mode uses a faster shutter speed to capture action. Macro Mode: Use this mode to photograph subjects up close, like a bee on a flower. Night Portrait: This mode is perfect for capture a subject in a not-well-lit background. You should also know that an option to shoot video is not on the top of the camera, instead, you will need to press two separate buttons. First, press the button, labeled “Lv.” Then, once you see what you want to shoot on your LCD monitor, start shooting by pressing the red button, which is located near the shutter release. After getting acquainted with the features of your new camera, it should be about time to install your battery. With the battery installed, turn on your Nikon D3200 DSLR and you will quickly be asked to set the date, language, time and time zone. Simply follow the prompts. Then you are ready to start shooting. Try out each of the settings. You can also, at this point, play around with some of the internal settings, including the “I” button, which gives you access to the settings menu. After spending close to $500 on your new Nikon D3200 – even if you did get a good deal on it – you will want to take good care of it. Nikon recommends that you always remove the battery to prevent leakage if you are not planning on using your camera for an extended period of time. Also, never store your camera in a plastic bag and be sure to keep it in a dry, well-ventilated area. Nikon further recommends never leaving your camera in a hot car or immersing it in water since it is not a waterproof model. To clean your Nikon D3200, Nikon suggests using an aerosol blower to remove dust and lint off both the body of the camera and the lens, mirror and viewfinder. You can also wipe the outside of the camera and monitor with a soft cloth; just take care not to apply pressure to the monitor. Nikon D3200 DSLR image courtesy of Shutterstock.